In 2014, teenager Adrianna Mitchell sat at a keyboard with Barack Obama and helped him become the first US President to code. His modest effort, a mere 17 characters of script, underscored a deeper belief in coding as the literacy of the 21st Century. Once largely viewed as an esoteric and tangential activity, coding has emerged as an essential, world-making practice. But what will this digitally-driven future look like? Are today’s school children destined for lives as software engineers, or will coding become a more diffused set of practices. What will it mean ‘to code’? HELLO WORLD: CODE AND DESIGN shows twenty-two designers printing, sewing, assembling and hacking in order to free code from the computer’s dark interior. In the process of prising open the lid on modern technology, these designers are experimenting with new ways of being digital. Low cost electronic components, and the physical computing and maker cultures they’ve spawned, now see code at work in everything from simple household items and toys to weapons and wearables. Additive manufacturing techniques such as 3D printing mean once invisible and immaterial processes are emerging into the tangible world of objects, while industrial processes move from the factory to the home. From Defense Distributed’s 3D printed gun, The Liberator, to Golan Levin’s Free Universal Constructor Kit (F.U.C.Kit), and Iris van Herpen’s 3D printed clothing and accessories, the material world is becoming increasingly fertile. Code is reshaping our social, political and economic lives in profound and often unanticipated ways. For contemporary design, code has become an significant new concern, at once a tool, a material and a process in the experience and formation of worlds. Download the room sheet and poster with an accompanying essay by Tom Lee. Find the full exhibition catalogue at the dedicated exhibition website. Aaron Seymour is a designer and Lecturer in the School of Design at UTS. He has designed audience experiences for the Australian War Memorial, National Museum of Australia, Historic Houses Trust, Australian National Maritime Museum and the Australian Centre for the Moving Image amongst others. His short films have twice been nominated for AFI awards, screening internationally in festivals, on television and in commercial cinema releases. As a designer his clients have included the Sydney Dance Company, Björk, Sydney Opera House Trust, Sydney Symphony Orchestra, Levis Europe and London’s Wellcome Collection. Aaron curated the exhibition Graphic Material at UTS Gallery in 2010. His current research interest focuses on experimental graphic applications of new material and fabrication technologies. 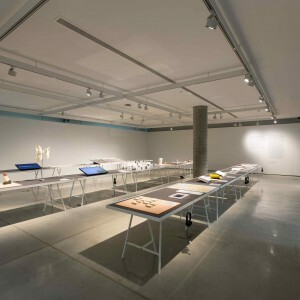 UTS Gallery. Level 4, 702 Harris St, Ultimo. 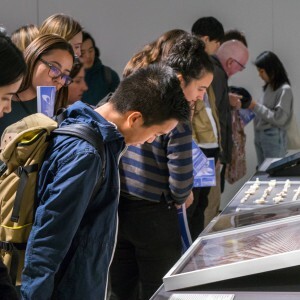 Over two nights creative, industry and design professionals will respond to the exhibition Hello World: Code and Design at UTS Gallery, leading audiences to discover objects in the exhibition from alternate perspectives and reflect upon the ethical, creative and economic impact of code. Across two panels, guests from diverse backgrounds in law, ethics, design and industry, will respond to a chosen object from the exhibition. The events will be led by Cameron Tonkinwise (UTS School of Design). 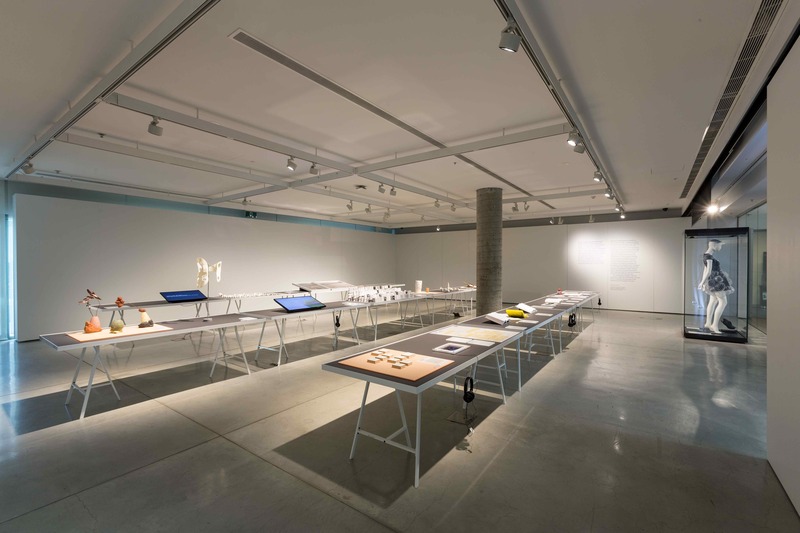 An industry panel on August 24 invites guests to critically reflect on the exhibition and engage in debate about the relationship between speculative design and industry. 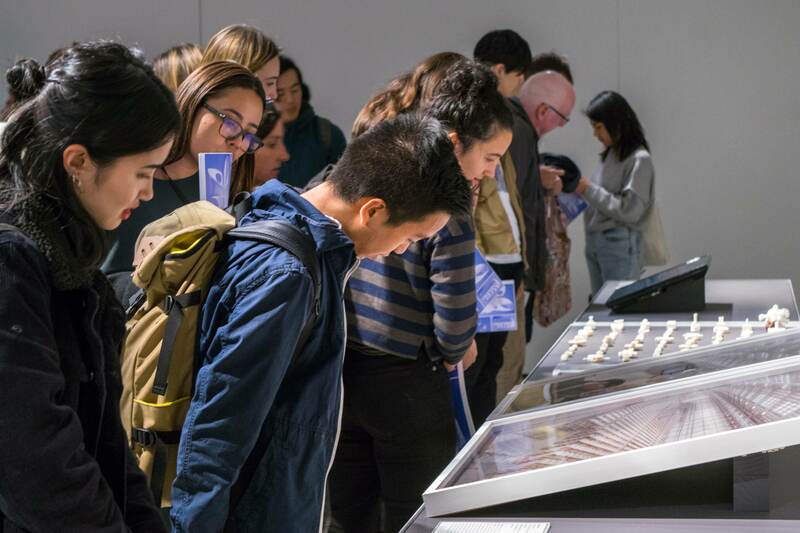 A second panel on August 29 invites guests from legal, ethical and design backgrounds to respond to their chosen objects from the exhibition. UTS ART Learning has designed high school workshops targeting Low Socio Economic Students and young women. Students will visit the exhibition and hear from curator Aaron Seymour, learn basic 3D modelling techniques in Proto Space—UTS’ newly built 3D printing engineering lab—and have their creations printed as a take home memento of the day. Additional workshops have been programmed in collaboration with Women in Engineering & IT and U@UNI. Hello World is supported by the UTS School of Design, ProtoSpace, UTS and the Museum of Applied Arts and Sciences. Technical support provided by MicroHire. Image: Aaron Seymour, Hello World, 2017. 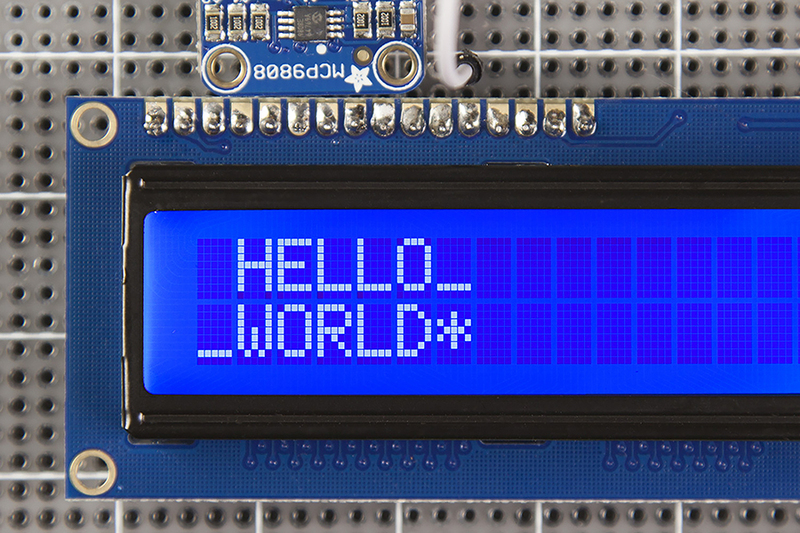 Hello World: Code and Design. Photo: Campbell Henderson.